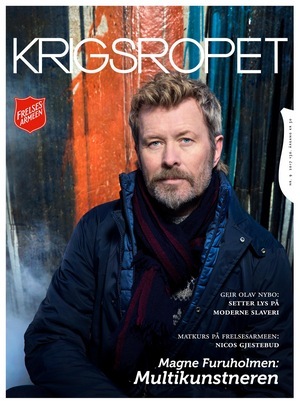 Magne is on the cover of this week’s issue of Krigsropet, which is the Salvation Army’s magazine in Norway. Inside there’s a 6-page interview with him about his Imprints sculpture park at Fornebu near Oslo, which opened in June last year. The park is comprised of around 50 ceramic elements, including the world’s biggest jars, with many of them incorporating Magne’s own poetry. “Using those poems is somewhat risky, as they are of a personal, private character. In my way of writing there’s an inherent melancholy. 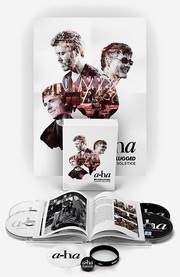 That’s the case with a-ha as well. We look at melancholy as a force, a longing, something that liberates you from something heavy”, Magne tells Krigsropet. The interviewer mentions how people have pointed out that his writings are often influenced by religion and theology. “Wondering and searching for meaning is closely related to faith. Shifting between doubt and faith is a necessary principle to embody a message. I have done a lot of reading and I use things from my own upbringing and culture. As a visual artist I visit the churches in every city I go to, to get inspiration. There isn’t much difference between sitting in an atelier or a chapel, transported away from all outside noise. In concentration I find silence. The church room opens the door to contemplation, it creates a room for thought. But I’m more into asking the right questions than finding the right answers. Faith and doubt is something you’re always thinking about”, Magne says. 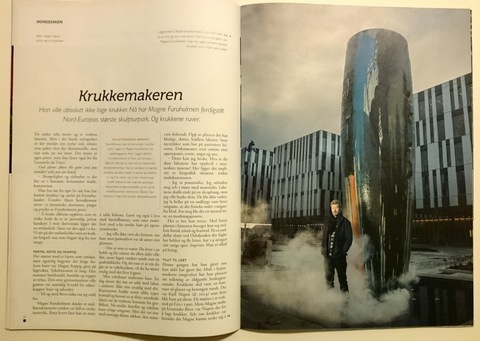 The interview also mentions that new features have been added to the sculpture park in recent months, in the form of clouds of steam that suddenly appear, to make the sculptures appear as living and breathing entities. 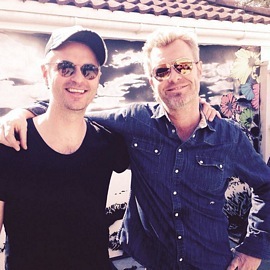 As always, Magne is busy with a variety of different projects. In January he spent a week in Denmark with HM Queen Sonja, continuing their collaborative work on graphic prints. Their joint exhibition Texture will continue its tour at Bodø Kunstforening in Bodø (9 March – 2 April) and Gulden Kunstverk in Steinberg (29 April – 21 May). And this summer he will hold a solo exhibition at Galleri G Guddal in Rosendal (1 July – 20 August).